Robert Parker here from Simpsonville, South Carolina. I several old tractors in the shed right now. 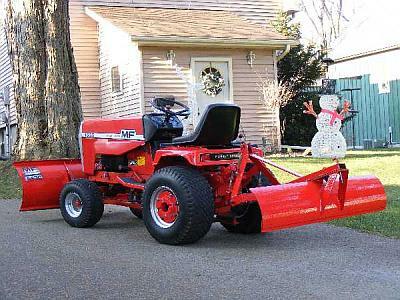 Gravely 430, 2 Sears Custom 7's and a MotoMower. All are in the just picked them up state, even though I have have them for a few years. My son and I have started on the MotoMower. I will get some pics up when I get the chance. welcome to the forum robert. Welcome to the forum Robert, enjoy all the great posts by all the great members here. Thanks guys. I have searched the internet and found no site any better that the one we are on. I was lurking for a few months before I signed up. My son has gotten us started on the MotoMower first. 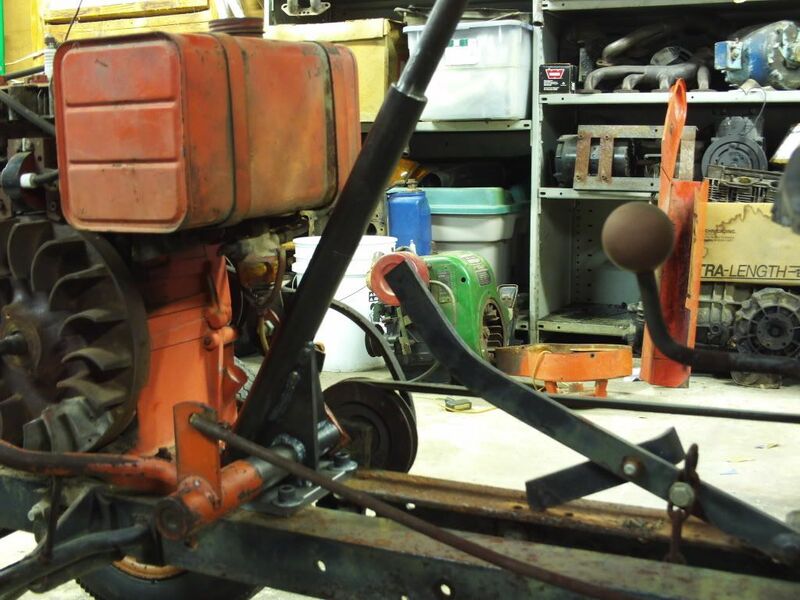 When it arrived home, it was stuck in gear and the steering column was rusted fast. Well, a couple lunch times at work this week and I was able to fab up a new unit and was able to transfer the gear and the wheel from the old one. It can now turn, so movement will be easier. Next to the carb. Pulled it off tonite and will look for a kit tomorrow. The recoil spring is in sad shape and we will get to it this weekend. I will keep you informed. I will get some pics up soon. But I have a quick question. The hood has the letters AMC inside and oval and very faint, but she definitely looks like a MotoMower, any ideas what the letters mean? The hood has the letters AMC inside and oval and very faint, but she definitely looks like a MotoMower, any ideas what the letters mean? Does it look like the one below? 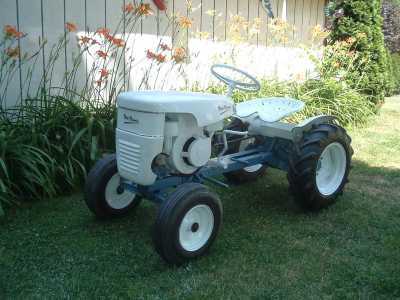 This tractor was on ebay a month or two ago. 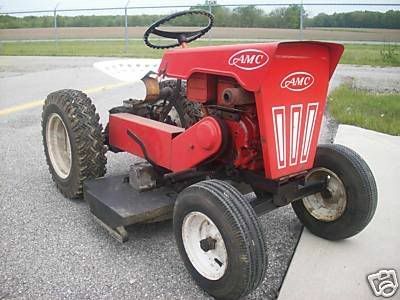 I have no clue what the story is with these tractors badged AMC, but they were definitely built by Dura Corp. 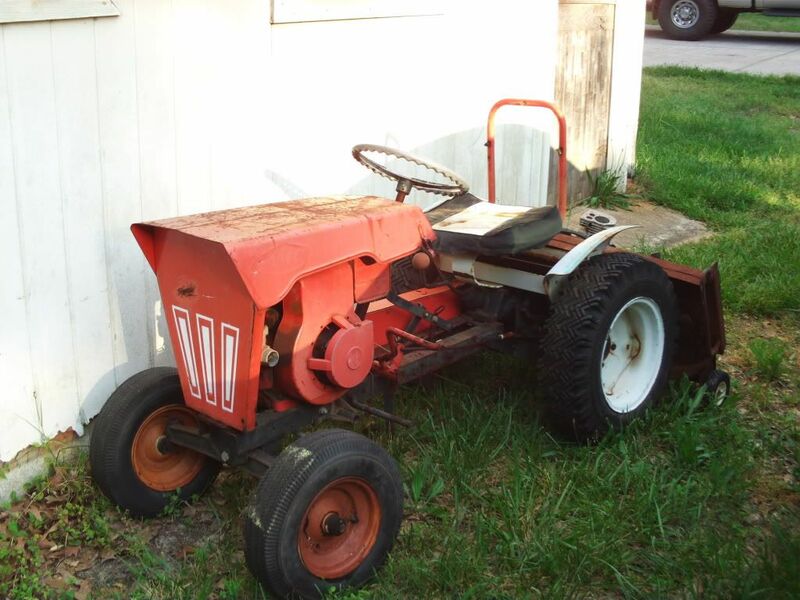 I have 2 Moto-Mower's myself, and several other members have Moto-Mower's too...its sure nice to find other people that own these tractors as well! Take care, and we look forward to seeing pictures! Here is the tractor when it arrived home. I will work this weekend on getting some more shots of the other tractors. Welcome from Indiana! Hope you enjoy the site....we are glad to have you! Sounds like you have a great collection!